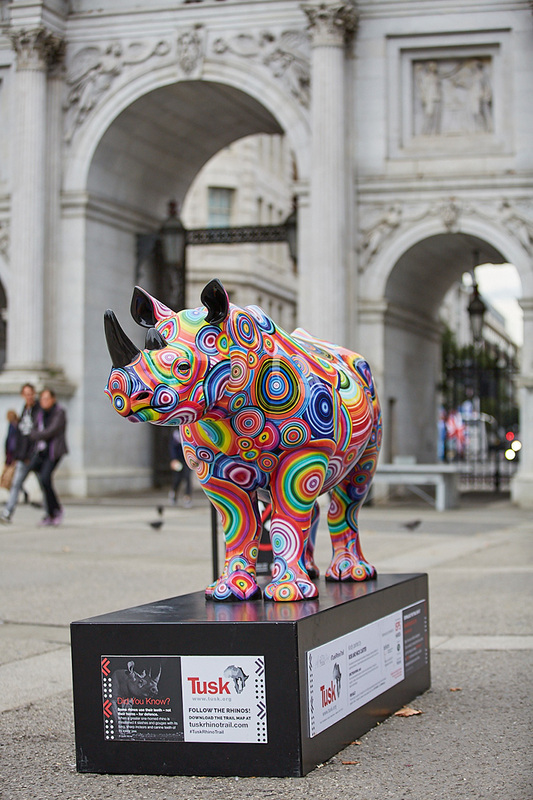 The Tusk Rhino Trail has charged into London and our very own kaleidoscope rhino has made its home at Marble Arch. 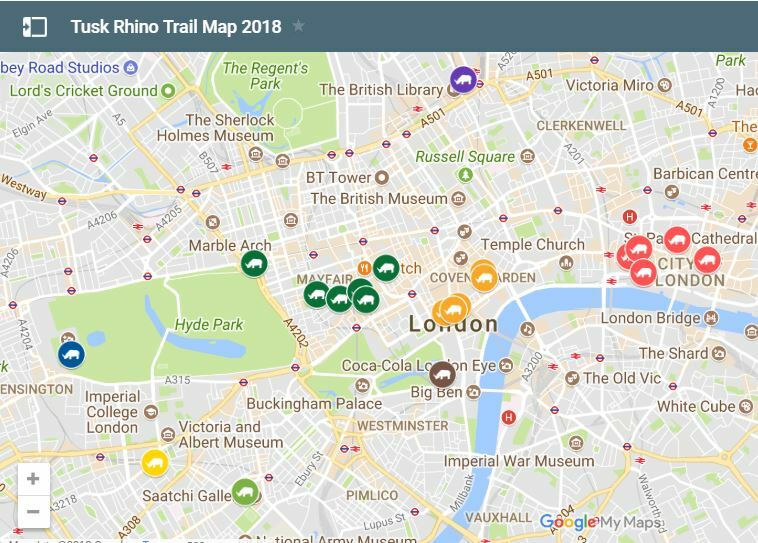 We’re delighted that The Tusk Trust, a non-profit organisation that works to protect African wildlife, has chosen the Marble Arch national monument as one of the 21 key locations on the Tusk Rhino Trail. The Tusk Rhino Trail is a London wide art installation that celebrates the magnificence of rhinos, and draws attention to the severe threat of poaching to their survival. 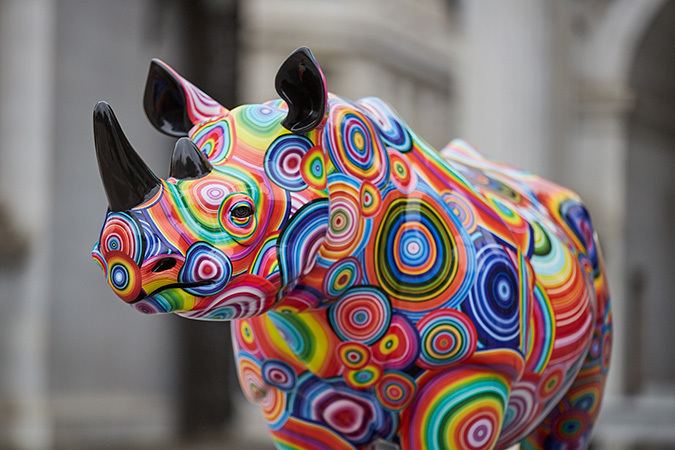 Each rhino has been specially designed, decorated and embellished by internationally renowned artists. The rhino at Marble Arch is the perfect fit as it has been beautified by local artist, Rob and Nick Carter. Whilst in the area, you can visit their captivating and colourful works at their nearby studio in Connaught Village. The Trail runs from 21 August to 22 September – World Rhino Day. After this, the rhinos will be auctioned by the leading London auction house, Christie’s on 9 October. The funds raised will provide vital support for our conservation projects protecting rhino and other iconic African species. Each rhino on the Trail has been sponsored by an organisation, as well as decorated by an artist. We are grateful to Nelsons for sponsoring the Marble Arch rhino. Need a rest from your explorations? Check out some great places in the area to grab a nibble, sip a drink or simply rest before continuing your rhino ramble. Join the charge and go explore #TheTuskRhinoTrail!